Today we celebrate the contribution of migrants to the UK as part of One Day Without Us. 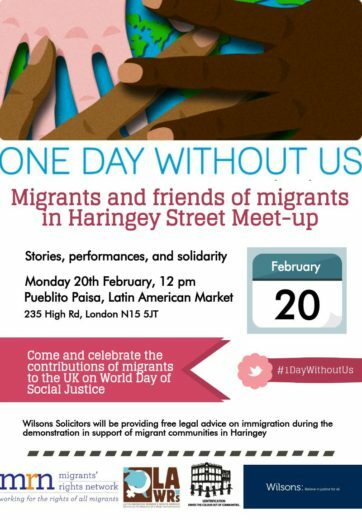 Our lawyers will be providing free immigration law advice at an event in Haringey as our contribution to this day. We are very pleased to be able to support this initiative.